Most output transformer manufacturers emphasize their multi-layer winding technique and claimed that is the trade secret of good sound quality. The actual case is that IRON CORE plays the most important role. I estimate the iron core gives 70% sound quality while the winding only gives 30%, how come? 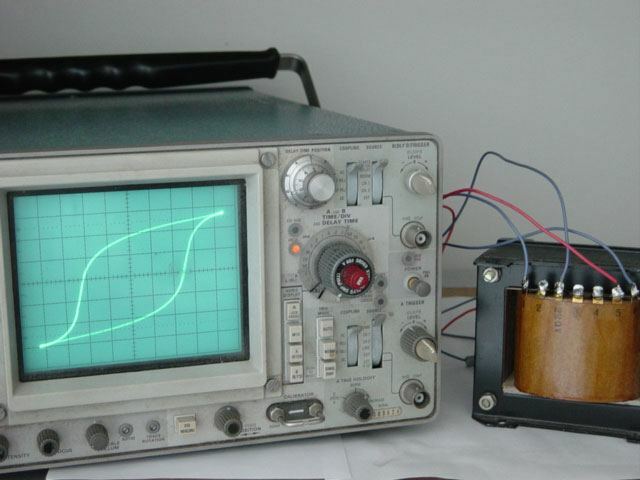 A tube output transformer actually is two independent coils winding on ONE iron core. 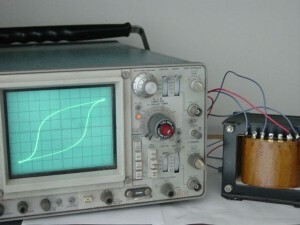 The primary connected to a tube and the secondary connected to the speaker(ohm matching). The primary coil passes energy to the iron core as magnetic flux form (step 1), and the core passes energy to secondary coil back to electrical energy (step 2). The problem is that some iron core does not response linear. 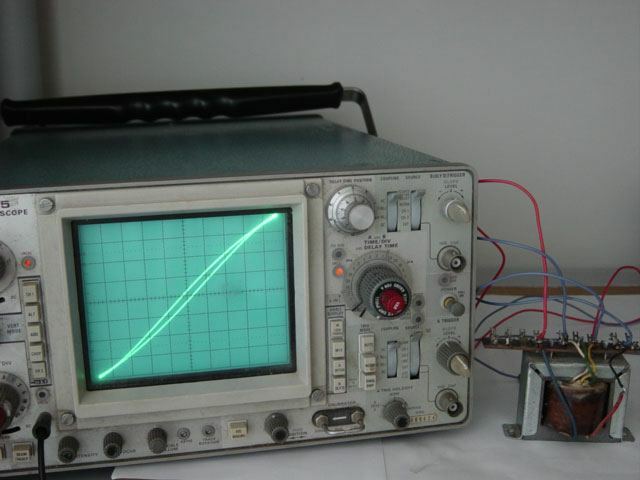 That means the magnetic flux in the core is not pure sinusoidal even the primary source is sinusoidal and leads to distortion on the secondary side. Furthermore, the iron core will convert a certain percentage of magnetic energy to heat, this is also known as hysteresis iron loss. Significant hysteresis iron loss will obviously reduce high-frequency response. 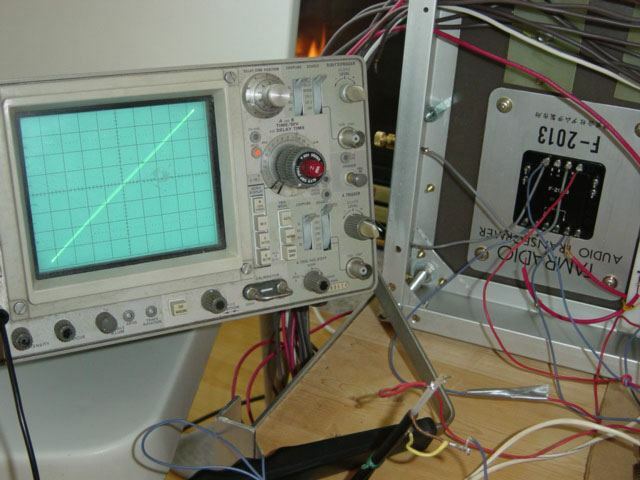 An appropriate set up with an oscilloscope can see the iron core hysteresis loop, the SMALLER the loop area the BETTER the iron quality as well as SOUND quality. 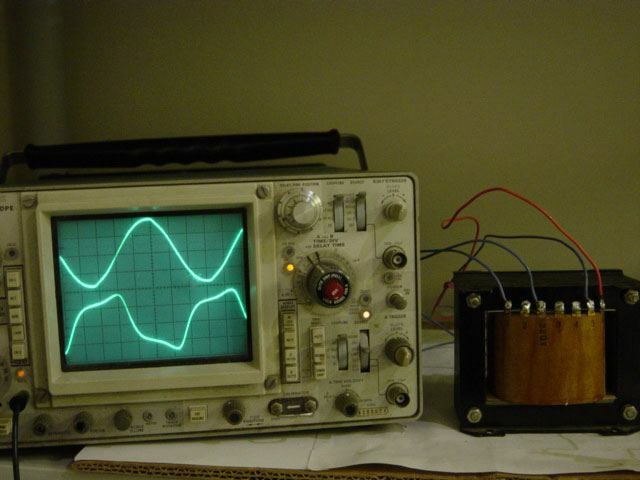 The actual example from a power transformer, the hysteresis loop(see picture below). 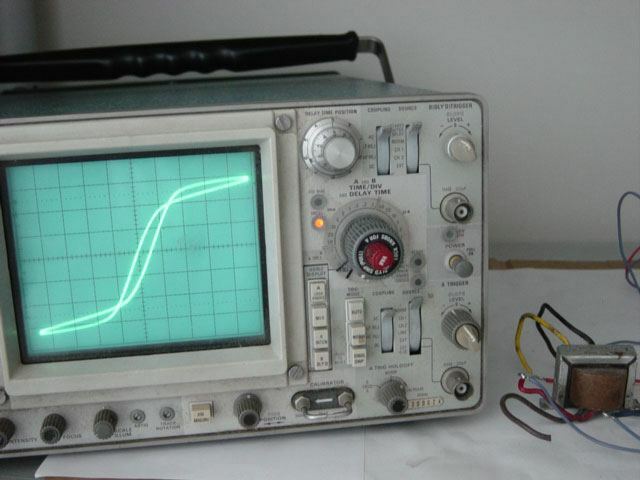 The magnetizing current waveform distortion (lower curve). 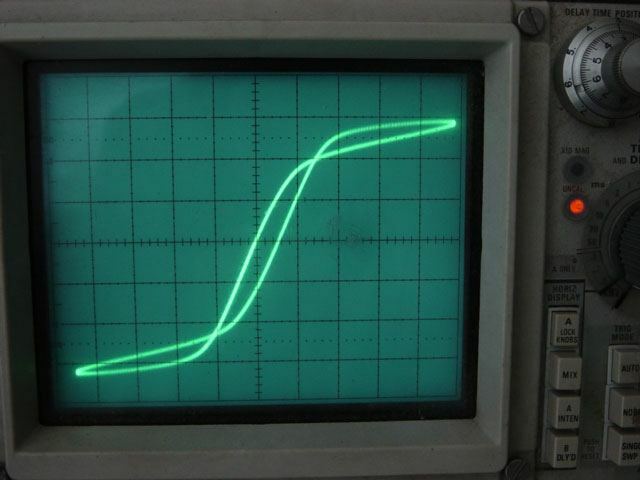 The hysteresis loop from a North American tube radio output transformer. 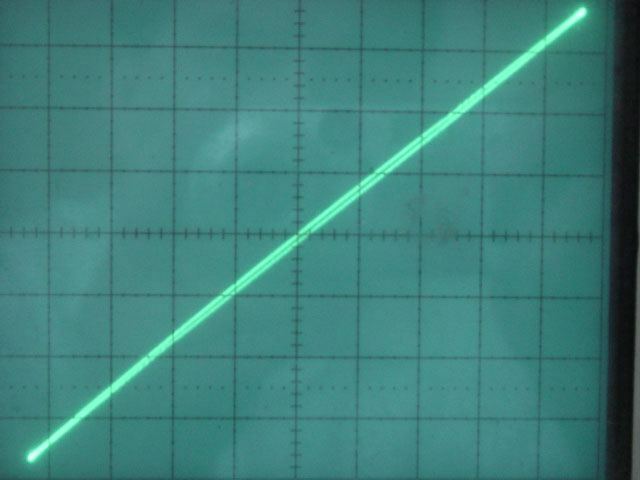 The hysteresis loop from an European tube radio output transformer. 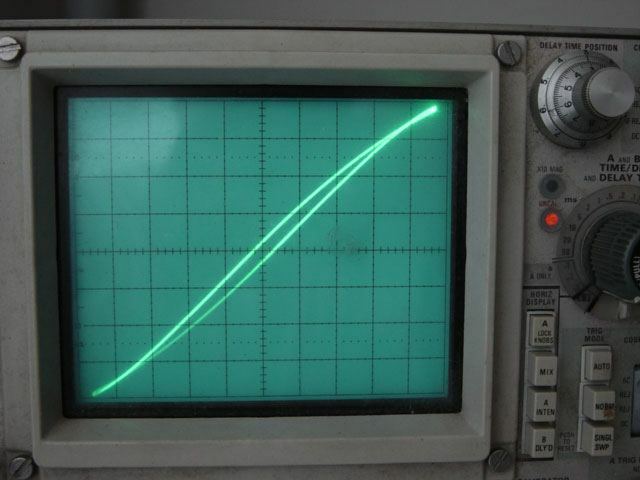 Hysteresis loop from a Tamura F 2013 output transformer, the loop almost is a straight line with minimum loop area to prove excellent sound quality.